Δελτίο τύπου: «Enforcer's Jonas Wikstrand's solo-project Forever will release its self-titled debut album on April 19, featuring 10 tracks that no fan of classic rock will be able to disregard. 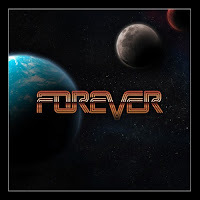 The band's combination of catchy melodies, classic rock, large choruses and orchestral and electronic arrangements will take you on a trip more than thirty years back in time, to the time when rock was king, yet with its own touch and an incredibly tight and organic production. Lyric video: "Anywhere You've Gone"
ROCK STAR 17 Απριλίου 2019 - 10:12 μ.μ. BALADEUR 18 Απριλίου 2019 - 5:19 μ.μ. asid 18 Απριλίου 2019 - 1:28 π.μ. Αφου τους κοβω να διαλυουν τους ENFORCER, τον βλεπω να επικεντρωνεται εκει. BALADEUR 18 Απριλίου 2019 - 5:20 μ.μ. asid 19 Απριλίου 2019 - 12:22 π.μ. BALADEUR 21 Απριλίου 2019 - 5:14 μ.μ.